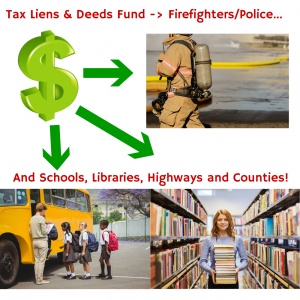 Are Tax Liens and Deeds Really Profitable? Well, before I go any further into this article, I want to stop those thoughts dead in their tracks. But I’m jumping ahead of myself. Sidenote: If you want to skip through the mistakes of Tax Lien & Deed investing, I’ve created a free training guide for you, that will help you avoid the 3 biggest mistakes new investors make in this business. You can find it by click right here! But keep reading for today’s great post! What I want to do in this article, is to help you understand how Tax Liens and Tax Deed are an extremely profitable niche of Real Estate Investing, in the hopes that you’ll take this information, and be able to go out and have the security know that Tax Liens and Deeds ARE profitable and you can start investing today. 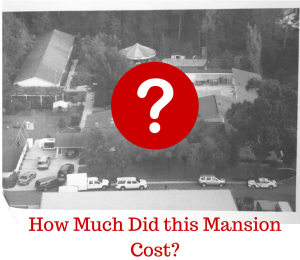 So the question is – WHY is it that these Tax Liens and Deeds are profitable? The answer is this – Tax Liens and Deeds are a US secured investment process that allow the counties to take control of a property if the taxes aren’t paid. And all the county is allowed to receive from the tax payer/auction goer is the total amount of taxes owed to them – the rest goes into a surplus fund (which is a whole other topic that i’ll get too in the future). Unlike banks, when you purchase a tax lien from the county, in order for the homeowner to get back the rights to their property (to buy back the lien from you), they must pay what you payed for the Lien at the auction, PLUS an interest rate that is set at the state level (And stays the same throughout the state). The interest rate that goes with a Tax Lien is anywhere from 10-25%, which is MUCH HIGHER than any bank you will find. So WHY does the county need to sell off the liens and get paid from the back taxes owed to them? Well – the taxes are what fund the government, the schools that you send your children to, the firefighters, the police, the road building and everything in between. So, in the best interest of the county, they need to get the money they need, as soon as they can. The county is going to get their money no matter what – whether you go to a Tax Lien sale and bid on the property, or another investor does, or they keep the lien or deed for so long, and the title gets transferred to county, and THEY profit off the sale of it. That’s where the HOW comes into play. As investors – what we have to do, is understand how the Tax Lien (or Deed) sale process works, and show up at the county courthouse, participate in the auction, and bid on the properties that come up. Now, I am assuming a lot here. I am assuming you do your due diligence, the hard work and research needed to know which properties will be profitable, but all that is VERY EASILY learned, and just needs a bit of time, and the courage to take action, and actually go to a couple Tax Lien or Deed sales, to get used to how they actually work. I want to share with you how you can find Tax Lien or Deed auctions, and how you can ensure you are successful at them. 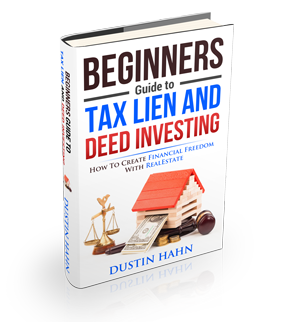 I wrote the next article in this series specifically to explain what I’ve done to be successful at Tax Lien and Deed sales, and you can find it right here. All that being said, let me give you an example of one of my students, and how they have used Tax Lien sales to bring in a TONNE of income this year. Let’s call this student Billy, for the sake of his privacy. So, Billy started investing in Tax Liens and Deeds about 1-2 years ago. He took one of my courses, and rather than just sitting on the information he gained, he acted on it. Last year, Billy bought a property in the mid-west (I can’t recall exactly where it was off the top of my head) at a Tax Deed Sale, for $1,000, then turned around and sold it for $11,000 – a profit of $10,000. 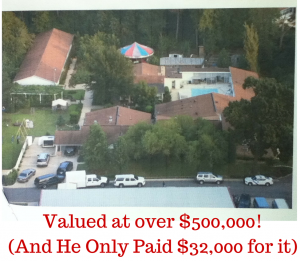 And because he knew what he was doing, that wasn’t the only property he bought at the tax sale that day. Remember that photo at the top I showed you, well this is the really cool stuff that’s possible in this business. Does that seem like it could be a profitable deal? Now, I don’t want to mislead you and say that at every tax sale you go to, you’ll find these deals, and you’ll wind up being a gazzillionaire in a couple weeks. The world doesn’t really work that way. This business, just like anything else worth doing in this world, takes effort, and experience, and time. There are certainly ways to cut through some of the negative experiences you could have, and avoid a lot of mistakes that many people make starting off, but there is still the human aspect of it – you gotta get out there and do it – there is no substitute for putting mental energy and time into something. BUT- I can promise you this – Billy attended upwards of 20+ tax sales last year, and he bought A LOT of properties, and because he stuck with it, he now has upwards of $1.9 million of properties in his back pocket. Tax Liens and Deeds are secured by the government, which makes them a super safe and profitable investment. Tax Liens have an investment return from 10- 25%, depending on which state you are looking into. They’ve been around for almost 200 years. Each state has specific guidelines for how it runs the auctions, if it’s Tax Liens or Deeds, and even specific guidelines for how they work within that state. Tax Liens and Deeds ARE Profitable, if you take the time that is necessary to learn how they work, what to look for, and how to make Tax Lien And Deed auctions work for you. Thanks for taking the time to read this, if you have any questions about Tax Liens or Deeds, put them in the comments below, and me or one of my expert team members will get back to you as soon as possible. 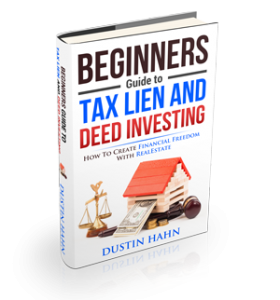 PS: If you want to fast track your results with Tax Liens & Deeds, check out this free “Beginners Guide To Tax Lien & Deed Investing I created. Just head on over to the page, and grab your copy today!